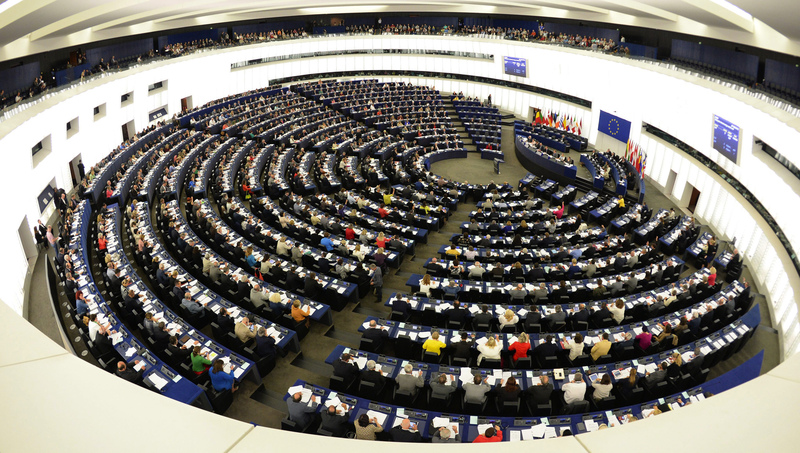 Is the enlargement agenda of the EU in danger after last European Parliament elections? It has been two weeks now since EU citizens voted to elect new MPs for the European Parliament. Even after two weeks, there are still a lot of journalists, politicians and ordinary citizens writing and arguing about what happened on 25th of May. 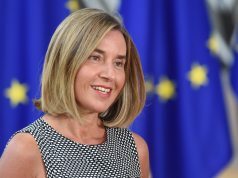 In EU, it seems like electing the Commission’s President will be a difficult task for the Member States officials, since there are huge misunderstandings and disagreements in this aspect. The point of this article is not analyzing what happened and how came that EU citizens voted far-right parties, because there are already a lot of analysis in this aspect. As a citizen of one of the potential candidate countries to join the EU (Kosovo), I would rather like to argue on what kind of message those elections sent to potential candidate and candidate countries to join the EU, and will the enlargement policy change in the EU. First, the analysis should be developed in two directions: analyzing the composition of the EP in general, and analyzing each Member State and their votes individually. Regarding European Parliament political groups, the last elections did not change that much. European People’s Party, Progressive Alliance of Socialists and Democrats, ALDE, and the Greens will continue to be the biggest political groups in the EP. All of these political groups in general are pro continuing with the enlargement agenda, especially in Western Balkans. Another good signal to support this belief is the openness of these political groups to the political parties from Western Balkans. Only EPP has three members from Balkan’s political parties: LDK in Kosovo, VMRO-DPMNE from Macedonia and SDA from Bosnia and Herzegovina. Further, in the last week’s elections campaign in Kosovo, EPP was active on supporting LDK, by participating in the meetings organized by this party and by sending official letters of support, like the head of EPP Joseph Daul did last week. However, there is skepticism from these political groups regarding enlargement as well. The EPP rejects all enlargement agenda for the next five years; Schulz is more skeptical than the PES, the others are more enthusiastic. So, if we take the European Parliament as a whole, there is no reason to be worried regarding the enlargement policy, since the majority of the Parliament has no strong position against it. But, the situation in Member States is different. Even though most of the countries that are part of EU accept the idea of enlargement, the last elections showed that this situation can change in the upcoming years. And France, Great Britain, Austria and Netherlands are the best examples. At first, no one could actually imagine that Front National, UKIP or FPÖ will have the results that actually achieved. The reasons of this ‘’shock’’ shall be found inside these countries, but the fact that surprises no one is that these parties actually won the votes with the program already known for the voters. One reason can be that the so-called mainstream parties in these countries did not motivate their voters that much to go and vote for the EP elections. 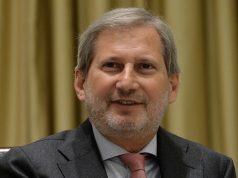 Then, it is always easier for the parties with populist discourse to send their voters to the polling boxes, since blaming Brussels for ‘’ too much immigrants’’, ‘’creation of Kebab streets’’ and ‘’vanishing of European identity’’ is always easier than actually offering a clear program for the future. The good news is that none of these parties are leading their state Governments, and even if they succeed to create a political group inside the EP as they are aiming, they would still be a minor group regarding the others. The situation will be much more complicated if these parties would be leading (or will gain the power) in national parliaments as well. Having a close watch on potential candidates and candidate countries from Western Balkan to join the EU, one can see that all the states of this region are in different positions and somehow have different tasks to fulfill. For the moment, Montenegro, Serbia and Macedonia are closer than the others, since they have the candidate country status. 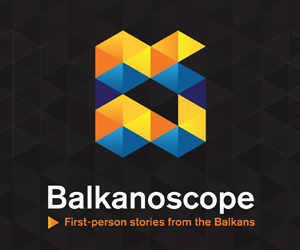 Macedonia will need to try to solve again and again the name of the state issue with Greece. So, Macedonian way to the EU passes through Greek vote, and Macedonian government knows this fact. Montenegro is doing well in general, with the primary task on fighting the corruption, while Serbia has still some tasks to finish, generally by having sustainable relations with neighboring countries, especially Kosovo, which is still under Serbian constitution as part of it. In the other hand, potential candidate countries has longer path. Albania has signed the SAA since 2003, but the process in moving quite slowly. The highly-polarization of political scene in Albania is making the situation worse, since there is no cooperation of political parties regarding this issue. Reforms in public administration, high rate of crime and corruption are other notable problems of Albania, which is being opposed mainly by Netherlands and France to get the candidate status. Regarding Bosnia and Herzegovina, the ‘’usual’’ problems of BiH are making the process slower. SAA agreement has been signed in 2008, ratified in 2010, but it is still not into force. And in the end, the newest partly-recognized state of Kosovo, officially has the potential candidate status, but the path to EU seems to be quite long. Being the only country with no visa liberalization for Schengen area in WB, Kosovo is actually negotiating the SAA, with high hopes to sign it in next two years. 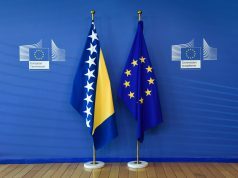 The biggest problem of Kosovo is the recognition, since five of the Member States of the EU still did not recognize Kosovo as an independent county. Greece, Slovakia and Romania are giving good signals, since they all recognize Kosovo passport, and they are moving towards recognition. Cyprus has an unclear position, and Spain is still a huge opponent of Kosovo’s independence. In the end, what is the moral of the story? In my opinion, the raise of far-right parties in Europe is a bad signal for the European future of Western Balkans countries. The current situation is still not alarming, but it will be if this trend continues to grow, and if far-right parties will gain powers in their national governments. This would be especially problematic for Kosovo and Macedonia, since based on what I have argued earlier, we can see that each of the Western Balkans countries who aim to join the EU will have to go through intergovernmental negotiations in order to reach the goal. And, negotiating with euro-skeptic governments is almost impossible.